DESCRIPTION: Someone tells you that they’ve proven their connection to a genealogical ancestor using DNA, but have they really proven it? Is the conclusion based on anecdote or science? Did they avoid the known pitfalls? It is our duty as genealogists to review evidence and conclusions carefully and cautiously, rather than accepting them at face value. Genealogical “proof” is a difficult concept to define, even when using only traditional genealogical records. 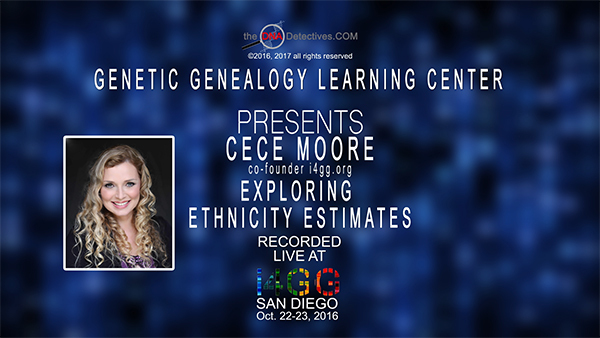 The community has just begun to explore the effect of adding DNA results to genealogical proof. 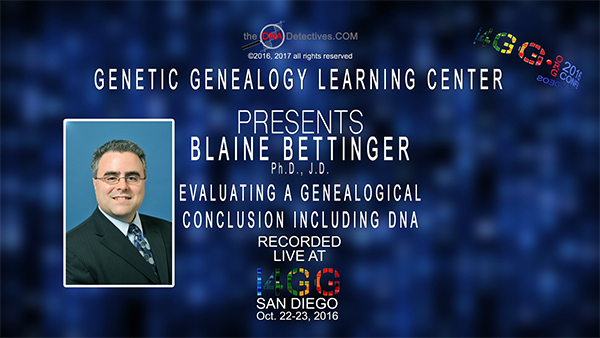 Together we will discuss the most common pitfalls when using DNA evidence, and propose the minimum requirements for a genealogical proof comprising DNA. 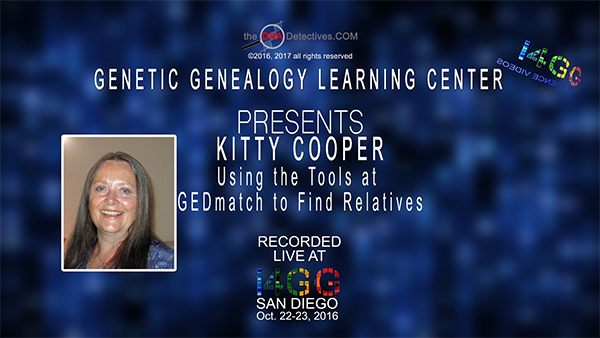 DESCRIPTION: GEDmatch is a geek’s paradise but it is sometimes hard for the normal genealogist to understand. We will review every column in the one to many function and highlight some of the other helpful tools for figuring out relationships. 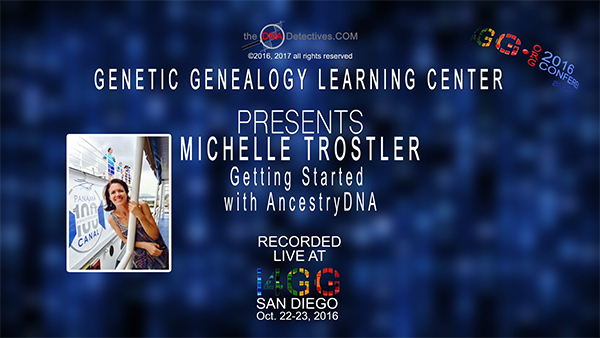 DESCRIPTION: Come learn the tips and tricks to get the most out of AncestryDNA! From Shared Ancestor Hints to examining and organizing your matches, Michelle will show you how to validate your paper tree against your genetic data via a hands-on exercise. This is an all-important first step because the only thing worse than finding an NPE is realizing that your DNA results had been trying to tell you this all along. Lastly, we will visit the often overlooked but critical-to-success AncestryDNA Settings which hold the key to unlocking the best Ancestry has to offer. DESCRIPTION: Six years of utilizing autosomal DNA for family history research while working with a vast amount of data has given us a deeper understanding of autosomal DNA’s best uses, limitations and potential. 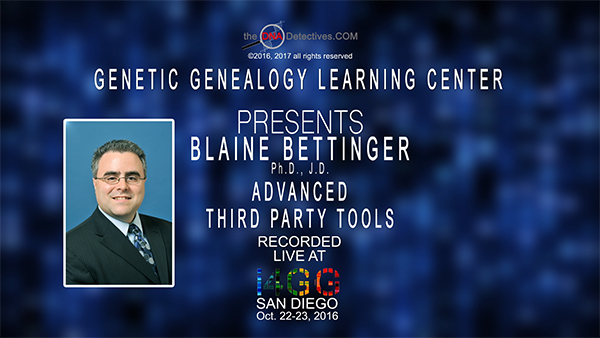 We will examine what we have learned in the context of applying atDNA results to genealogy. DESCRIPTION: In 2012 we discovered an African American customer sample that didn’t match any known Y haplogroup. Sequencing 400,000 bases on the Y chromosome revealed that this is a new branch on the Y-tree that split off long before haplogroup A. Re-arranging the root of the known tree lead us to name the new haplogroup A00. Research in public Y-STR databases indicated that the haplotype of our A00 sample was found in Cameroon, so it was obvious to start an effort to collect samples among this population to get a clearer picture of the geographical distribution and the historical background of haplogroup A00. So far we have collected about 700 male cheek swab samples from West Cameroon and identified 75 samples that we confirmed to belong to haplogroup A00 and we were able to further split them into he A00a and A00b branches. We can now assume with high confidence that our original African American haplotype originated from the Bangwa population near Fontem and that he may be a member of a royal line. With this example we can nicely demonstrate how Y chromosome information can help to resolve relationship questions that date back about 200,000 years ago. 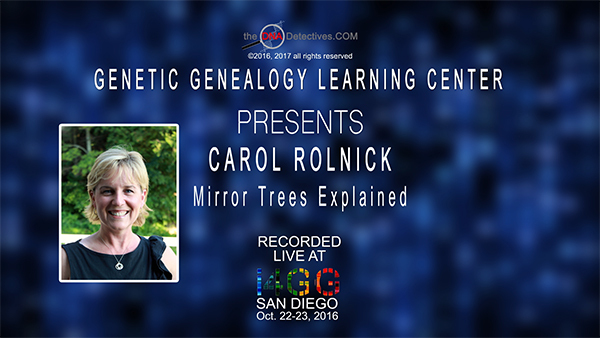 Mirror Trees Explained, Carol Rolnick DESCRIPTION: Uncover the mystery of how you relate to DNA matches, even if you don’t have a tree! For unknown family searches, the relatively recent methodology of building “Mirror Trees” and following Ancestry’s “Shared Ancestor Hints” has proven to be wildly successful. Indeed, many hundreds of adoptees and others have found their biological family by using this technique. Join Carol as she explains when and how to use Mirror Trees, and why they are so effective. Learn best practices developed by the experienced DNA Detectives Team, and follow along as she demonstrates step-by-step instructions to get you started on your journey of discovery. DESCRIPTION: The X chromosome pattern of inheritance is unique. 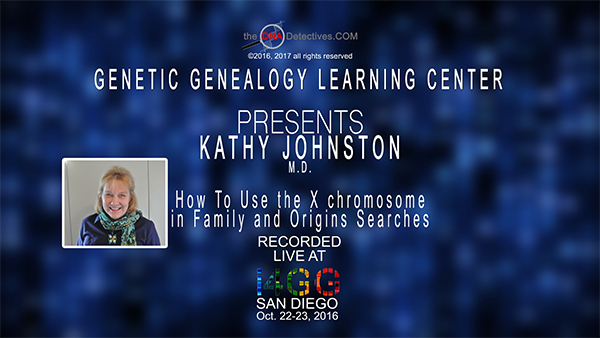 Learn how to use X chromosome segment matches to pinpoint lineages and common ancestors in your family tree. Find out which company tries to paint the ancestral (“ethnic”) origins on the X chromosome and what makes the X different from the rest of the chromosomes. Learn which third party site is necessary in order to find new X matches. See what an X match with close relatives should look like in a browser. What are the common misconceptions? Success stories will be discussed. DESCRIPTION: Does a truth uncovered by DNA always trump secrecy, or can/should the truth have boundaries? If so, what are those boundaries? DNA uncovers new family secrets on a daily basis. Sometimes these secrets are hundreds of years old, and sometimes they were Mom or Dad’s secret. Together we’ll dissect the roles of secrecy and openness as we examine real-life examples of both the joy and the fallout from uncovered family secrets. 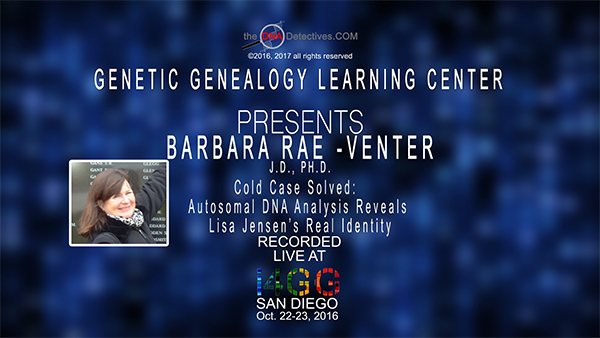 Cold Case Solved: Autosomal DNA Analysis Reveals Lisa Jensen’s Real Identity, Barbara Rae-Venter. DESCRIPTION: In 1981, a piece of human garbage, real name unknown, abducted “Lisa Jensen”. She was less than a year old. In 1986, he gave Lisa to a couple for a “trial adoption” while he disappeared and changed his name. He had maintained that he was Lisa’s father and when the couple went in to the local Sheriff’s office to find out how to adopt Lisa they revealed Lisa had been molested and a warrant for him was issued for child abandonment and molestation. It was only later when he was arrested on a murder charge and his DNA compared to Lisa’s in CODIS that it was realized she was not his daughter; Lisa had been abducted. Lisa’s abductor has since died in prison. He refused to give any information about who Lisa is or where she is from; she was too young at the time of her abduction to know. He was a transient handyman and in the time around when Lisa was abducted, he had been at many locations across the U.S. and into Quebec, Canada so there was no geographic information for Lisa. She could have been from anywhere in the U.S. or Canada. Nor was there any other personal information known about Lisa other than a guesstimate of her age based on her dental development when she was recovered. All we had was Lisa’s DNA. We will discuss the autosomal DNA analysis techniques and research methods we used to crack this case and determine Lisa’s real identity. DESCRIPTION: Addressing the question of “Who am I?” through DNA testing that provides ethnicity percentages has become a popular research tool for genealogists and even a pastime for the general public. It is important to understand the strengths and weaknesses of this aspect of DNA testing and the reasons behind them. 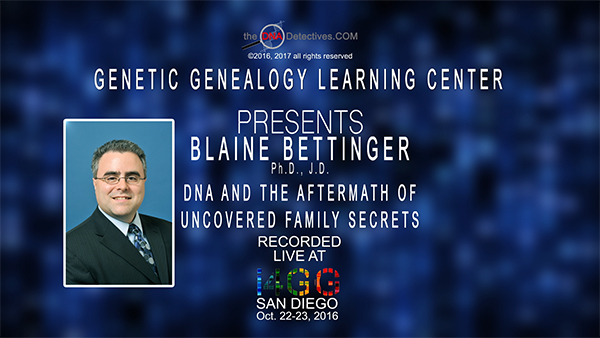 Attendees will learn how to better interpret and analyze these results and what they can and cannot tell you about your family tree. 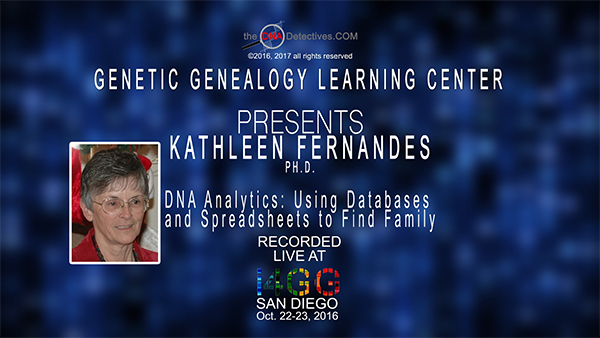 DESCRIPTION: The goal of this presentation is to provide tips that will help you use DNA data to find shared ancestors. Topics addressed will include managing your family file as a database, comparing your family file with that of other matches, using spreadsheets to organize your data, and making use of third-party tools to see how you and your matches are connected. DESCRIPTION: With the advent of DNA genetic genealogy, individuals around the world have been reconnecting via geographical and surname projects at FamilyTreeDNA. Family stories may be confirmed – or not – and Holocaust survivors or hidden children may be reunited with living family. Is your family Ashkenazi (of Eastern European origin) or not? Is there a Sephardic origin family story? Does your Hispanic family think they have Jewish heritage and what about all those Ashkenazi matches? 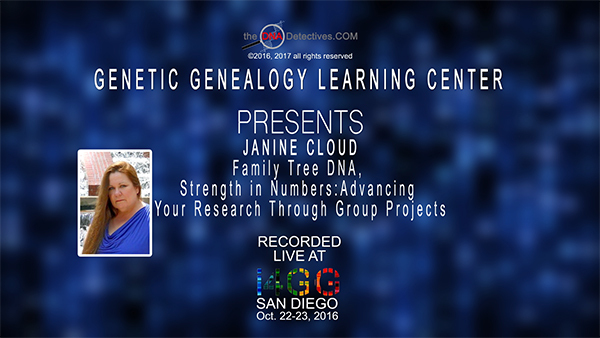 DESCRIPTION: Genetic genealogy is naturally suited to collaboration and group participation. Group projects helped build the industry as we know it, but many people are still confused about what they are and how they work. This talk will cover what group projects can do to help your research, which projects you should join or create, privacy concerns with projects, and what you should expect from your group administrator – even if that administrator is you! DESCRIPTION: 23andMe, the leading personal genetics company, offers genetic genealogy tools that can help people make many discoveries about themselves and their family history. 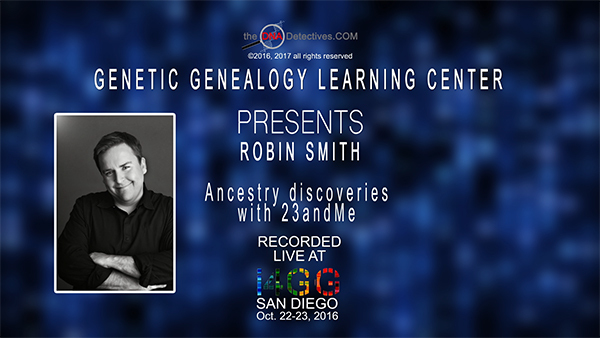 Learn more about the technology behind DNA analysis as well as 23andMe reports and tools such as Ancestry Composition and DNA Relatives. DESCRIPTION: Endogamy, the practice of marrying within a specific group, often results in members of that group being related to one another multiple ways. This can cause relatives to share more DNA than expected and can complicate analyses like ICW and segment triangulation. 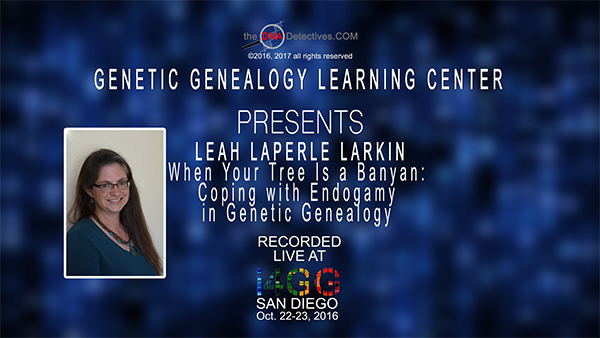 This talk with address how to identify and best practices for working with endogamy in genetic genealogy. 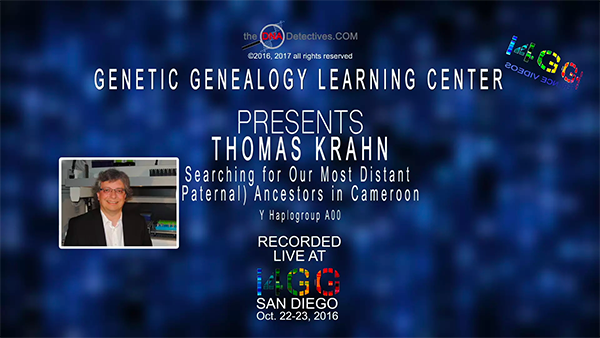 DESCRIPTION: We will examine tools like Phasing, Matching Segment Search, Lazarus, and Triangulation tools offered by GEDmatch, DNAGedcom, and others. These tools are almost always excluded from typical third-party tool lectures. DESCRIPTION: Step-by-step case studies demonstrate the use of all four types of DNA in conjunction with traditional research to solve genealogical mysteries and showcase the exciting possibilities this work offers. DESCRIPTION: Genetic genealogists tend to downplay the potential of mitochondrial DNA to help us learn more about our genealogy. This session will explore how this type of DNA testing can enhance our research. DESCRIPTION: Although the future of genetic genealogy is not now, it will be very soon! 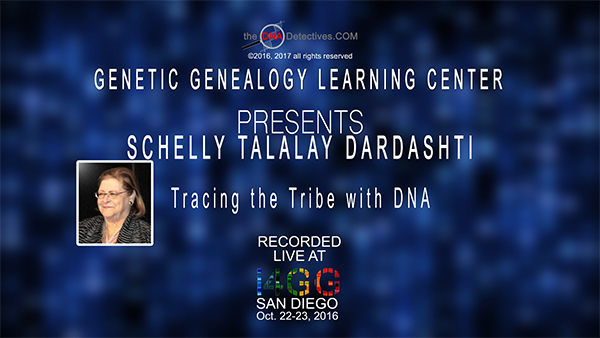 Learn about how companies are using DNA and genealogies to reconstruct the genomes of ancestors. We’ll also learn how that information might be used in the future, including to create entire or partial family trees based solely on DNA test results! We will also examine how these recreated genomes might be used to generate the faces and health of ancestors who have been dead for hundreds of years.